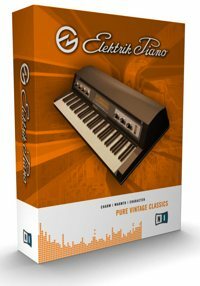 As an experienced Kontakt programmer and keyboard player, I really enjoyed getting a chance to work with the Native Instruments team on their vintage keyboard product Elektrik Piano, which includes four different instruments: a Rhodes Mark 1, Rhodes Mark 2, a Wurly, and a Clavinet. I’m a huge fan of these keyboards and their unique expressive natures. The Rhodes, in particular, is my favorite keyboard to play because of its huge range of expressive tones, frequently used in R&B and soul music. For Native Instruments, I did some of the patch programming, creating some of the more unusual and esoteric variations on the samples. 2010 Update: Elektrik Piano has been discontinued as a standalone product, although the contents of Elektrik Piano have been added to the Kontakt factory library.